Whether you're into whale sharks, Beluga whales, dolphins shows, or cotton candy, the Georgia Aquarium has it all. 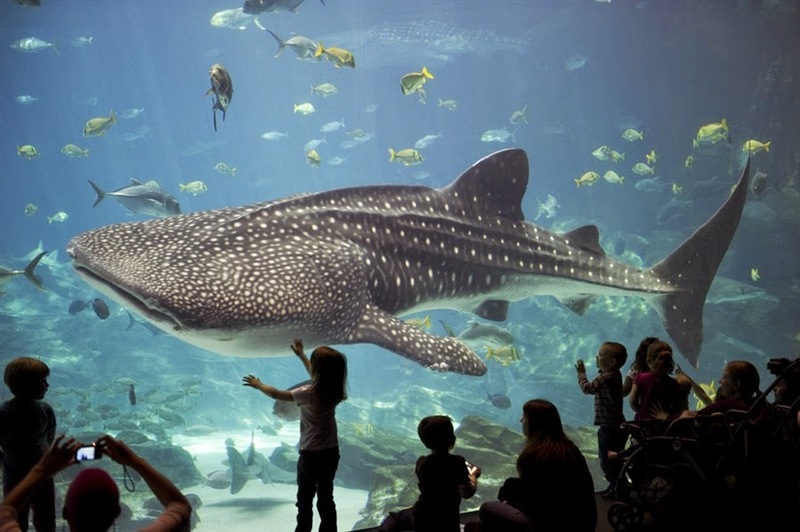 Breaking all kinds of records for rarity of species and size of tanks, it's a wonder to behold the huge tank that is home to Atlanta's pampered whale shark population. Check it out! Tickets are usually around $30-40. There are tons of discounts and packages you can explore. The main aquarium is open every day with varied hours. Most of the time it's 10-5 on weekdays and 9-6 on weekends. Extended hours in the winter months.